This quiet bay was named by Charles Gibson,a successful lawyer from the city of St. Louis. On this shoreline was the great Hotel St. Louis, built by Gibson. St. Louis Bay is located on the southeast shoreline of Lower Lake Minnetonka, just north of Carson Bay. Notable real estate includes Sunset Point. 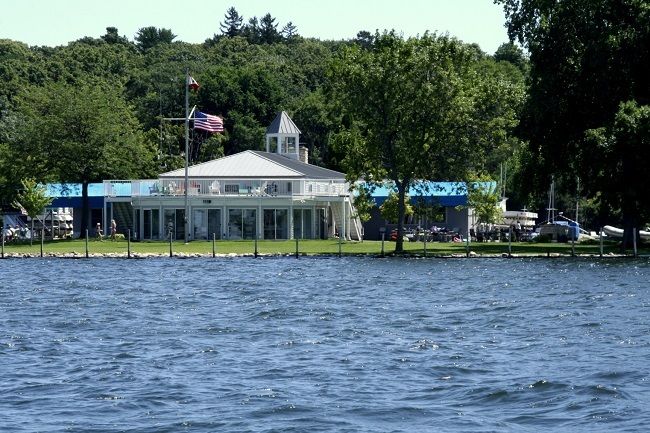 Places of interest on this bay are Deephaven Beach and the two Lake Minnetonka Yacht Club's islands; Lighthouse Island and Bug Island. The bay is entirely closed throttle/minimum wake. The city of Deephaven encompasses this body of water.